The Celebration Foundation works hand-in-hand with its neighbors to build a strong and caring Central Florida community. The Celebration Foundation is the charitable arm of the community. 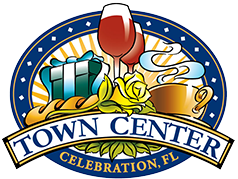 It was established as a non-profit organization in March of 1996 to promote a sense of community-one of the original cornerstones of the town of Celebration’s development. Through the Foundation, residents reach out to others-here in Celebration and to the Osceola County demographic. There is a sense of joy and satisfaction that comes with helping others and the Foundation serves as a primary catalyst for citizen involvement and community development. Today, the Celebration Foundation is involved with a variety of programs and initiatives and has established productive partnerships with local municipalities, the school district, charities, and businesses to promote three primary areas of interest: the arts, education, and social services. Serving the Celebration community and Greater Osceola County through innovative programs in the Arts, Education and Human Services. We’re only half complete if we’re not stimulating the creative side of our brain. It’s too easy for educators to slide into learning facts, and forget to stimulate our kids’ (and OUR) minds. That’s where The Arts come in. Whether it’s music, as performed during our Concert Series, or visual arts, often taught in our Celebration Lifelong program, we are all enriched and grow when exposed to The Arts. At Celebration Foundation, we’re committed to bringing The Arts to Celebration. And, stay tuned, as we have future plans to expand to other forms of art, too. When we’re growing up, it seems everything is focused on traditional education, through our schooling. After we progress through high school and other higher education, it’s easy to believe we’re done. But we never stop learning. Celebration Foundation develops and offers a variety of programs which allow every resident of Celebration and the surrounding areas to expand their mind, no matter their age. We start with Campus Express, showing Middle School children in Osceola County the benefits of higher education would be, specifically in building a trade, as taught by area Technical schools, such as Technical Education Center Osceola (TECO) and Valencia College campuses. This encourages students to continue their education and make sure they have a useful skill which will enrich them and their families as they grow. Our WINGS program focuses on ensuring that young women are able to thrive and grow, without restrictions or barriers, reaching for their dreams, and fearless in pursuing them. In our New Urbanism program, we preserve, protect and advance on these critical principles of city development and growth. We feel it’s imperative to continue to teach these ideals to balance urban sprawl and enhance our living situations for our new lifestyles. And our Celebration Lifelong program presents area residents with a wide variety of classes, clubs and lectures. The topics are diverse, tapping into the experiences of our Celebration residents. The Celebration Lifelong offerings have a wide appeal to our community, ensuring there’s a class, club or lecture of interest for everyone. No matter your religious or philosophical orientation, most of us agree on the need to care for our fellow man. Those who are less fortunate, elderly or ill need special attention from those of us who are able-bodied and financially comfortable. Celebration Foundation puts special focus on residents of our community who require some additional help to grow and live productive lives. Thriving In Place pays attention to those who, otherwise, would be home-bound. They offer services which allow our residents the ability to get things done in their homes and get out to take care of their needs. That could be changing a light bulb or getting a resident to their doctor’s appointment. The individuals involved with this unique and compassionate program are always looking for creative and helpful ways to assist those in need in our community. Learn more about our programs by checking out their respective pages, including our Blog posts. And, if you with to contribute by donating or volunteering, we’d love to hear from you. 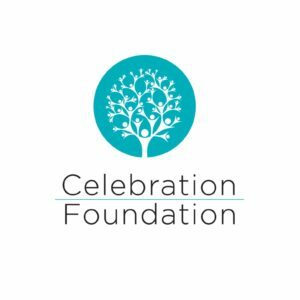 Feel free to contact us if you have any questions about Celebration Foundation.